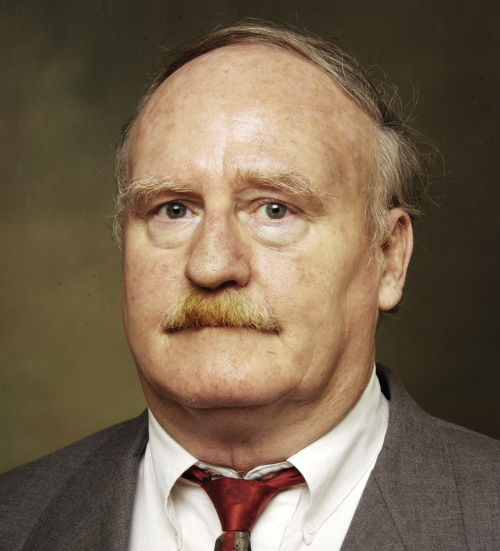 In 1992 CADE Inc. established the Herbrand Award for Distinguished Contributions to Automated Reasoning, to honor an individual or (a group of) individuals for exceptional contributions to the field of Automated Deduction. Nominations for this award can be made at any time to the president of CADE Inc. The Herbrand award procedure (established 1992, amended 2001) has three stages: nomination; advisory voting by trustees, current PC and past winners; and final decision by the trustees. In this procedure, “worthiness” is separated from “ranking”. The CADE president is responsible for soliciting opinions and evaluations, and carrying out a vote. Nominations for this award can be made at any time to the president of CADE Inc. A nomination should include a letter (up to 2000 words) from a principal nominator describing the nominee’s contributions (including the relationship to CADE), along with two other letters (up to 2000 words) of endorsement. Current members of the board of trustees of CADE Inc. (including ex-officio members) are not eligible. The nomination of a group of individuals who are collaborators is considered to be a single nomination, but all members of the group must be eligible. Nominations will be kept confidential. They indicate which candidates they believe are worthy of the award. They give a preferential ranking of all the candidates. It is expected that only those receiving an endorsement by a 2/3 majority under vote (1) will be considered by the trustees for the award. A preferred majority candidate will be selected by the single transferrable vote principle using the referential ranking (2). After possible further discussion among the trustees, the president of CADE proposes a candidate which should be endorsed in a final vote by 2/3 of the trustees. It is expected that in most cases this should be the majority candidate from the advisory vote. for the invention, implementation, and analysis of the Gröbner-basis method, resulting in the reshaping of symbolic computation towards comprehensive and widely applicable tools. Presented at IJCAR 2018, the 9th International Joint Conference on Automated Reasoning July, 2018. 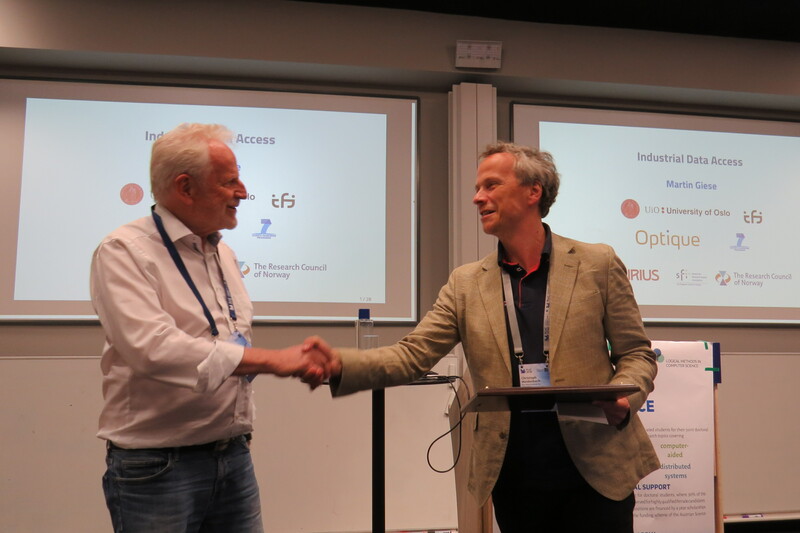 Christoph Weidenbach President of CADE Inc.
for his pioneering contributions to the automation in proof assistants and the foundations of formal security protocol verification as well as his impressive formalizations of deep mathematical theories. Presented at CADE-26, the 26th International Conference on Automated Deduction. 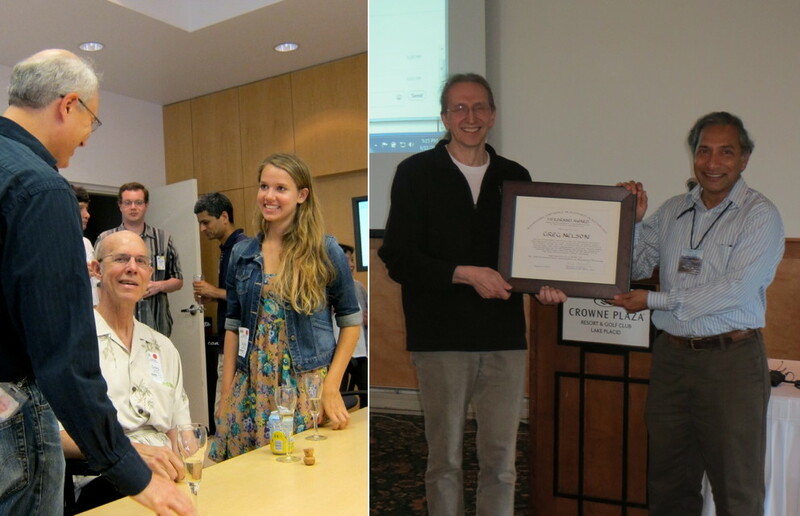 for his pioneering research and pedagogical contributions (with Richard Waldinger) to automated reasoning, program synthesis, planning, and formal methods. Maria Paola Bonacina President of CADE Inc.
for his pioneering research and pedagogical contributions (with Zohar Manna) to automated reasoning, program synthesis, planning, and formal methods. 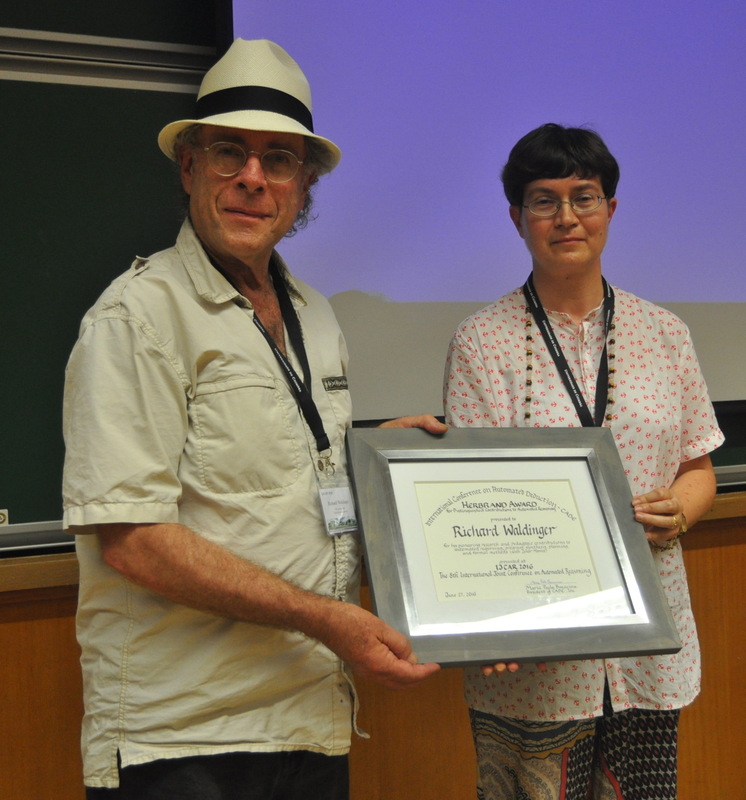 Presented at IJCAR 2016, the 8th International Joint Conference on Automated Reasoning June, 2016.
in recognition of his numerous theoretical and practical contributions to automated deduction, and the development of the award-winning Vampire theorem prover. 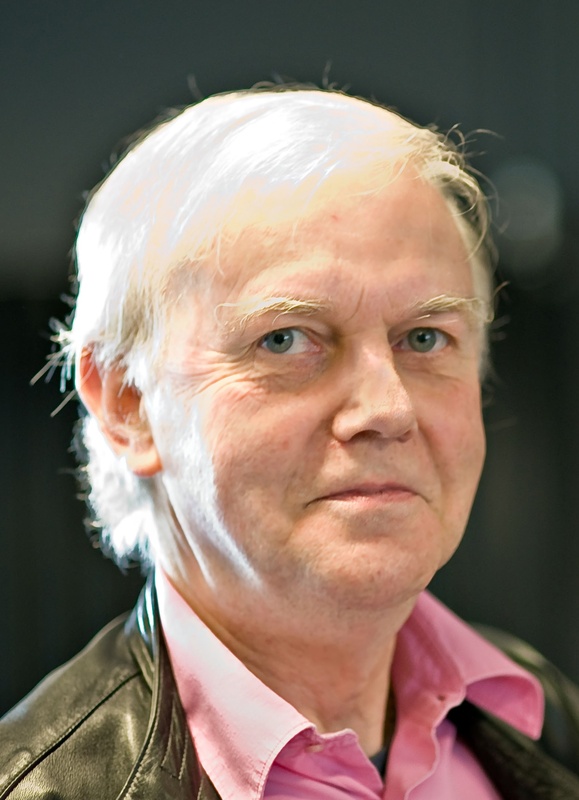 in recognition of his pioneering research in automated reasoning, including his seminal contributions to the foundations of computational type theory, the creation of Nuprl - the first constructive type theory based theorem prover - the development of the correct-by-construction programming paradigm, and their applications to verification and synthesis of computer systems, including distributed computing. 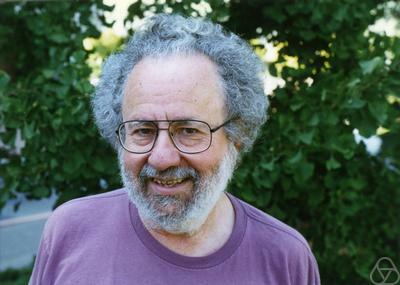 for his pioneering contributions to theorem proving and program verification, such as his seminal work with Derek Oppen on the combination of satisfiability procedures and fast congruence closure algorithms, the development of the highly influential theorem prover Simplify, and his role in the creation of the field of extended static checking. 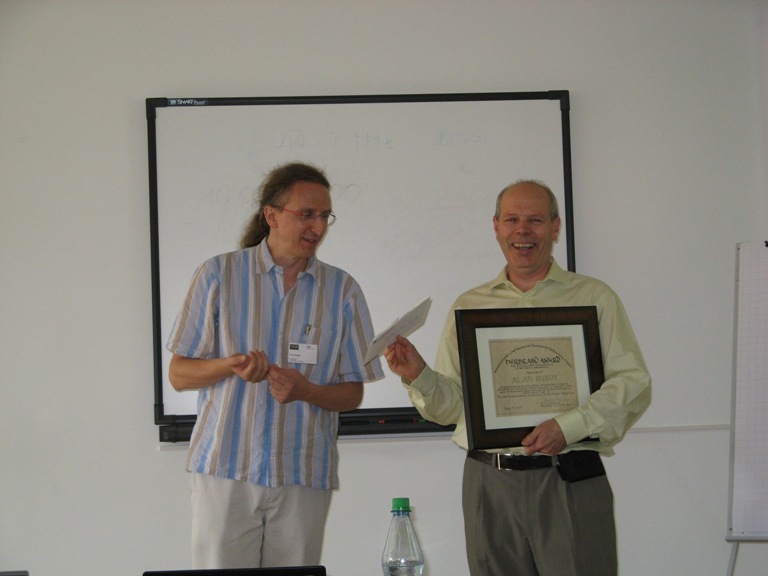 Franz Baader President of CADE Inc.
in recognition of his outstanding contributions to tableau-based theorem proving in classical and non-classical logics, as well as to many other areas of Automated Reasoning, Logic Programming, and Philosophical Logic. in recognition of his ground-breaking research on the design and use of well-founded orderings in term rewriting and automated deduction. 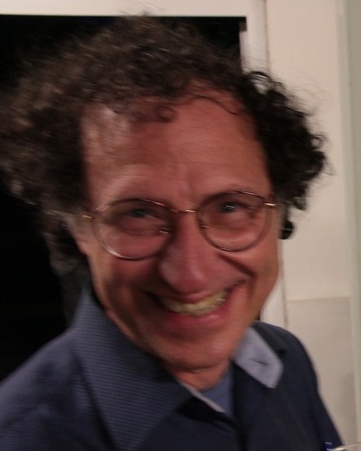 in recognition of his numerous seminal contributions to several areas of automated reasoning, including first-order theorem proving, term rewriting, completion, orderings, inductive reasoning, and pioneering research on abstraction, instance-based methods and search complexity in theorem proving. 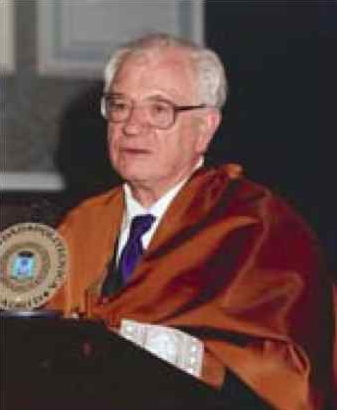 in recognition of of his seminal contributions to several areas of automated deduction including inductive theorem proving, geometry theorem proving, term rewriting, unification theory, integration and combination of decision procedures, lemma and loop invariant generation, as well as his work in computer algebra, which helped to bridge the gap between the two areas. Reiner Hähnle Vice-president of CADE Inc.
in recognition of his role in the invention of model checking and his sustained leadership in the area for more than two decades. 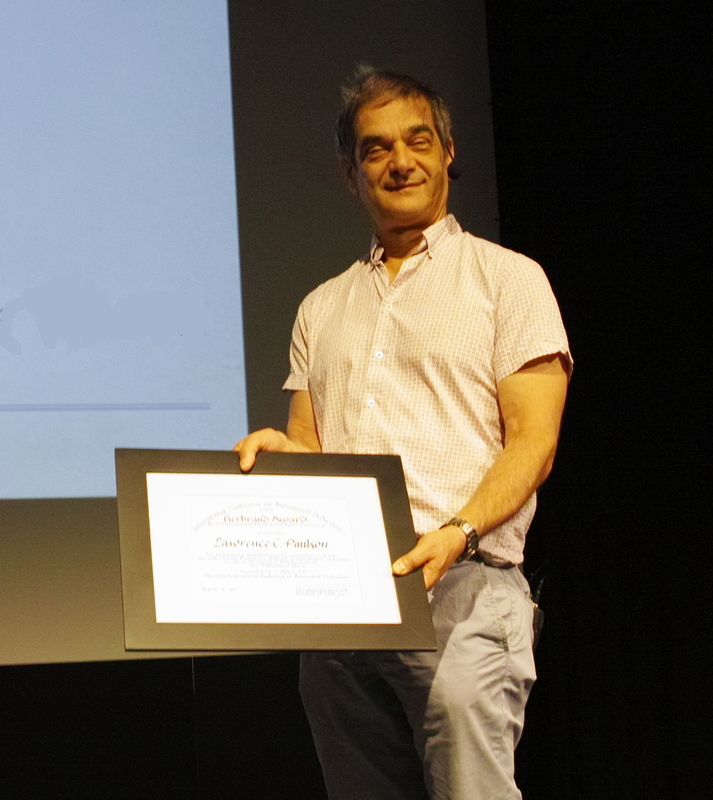 in recognition of his outstanding contributions to proof planning and inductive theorem proving, as well as to many other areas of Automated Reasoning and Artificial Intelligence. 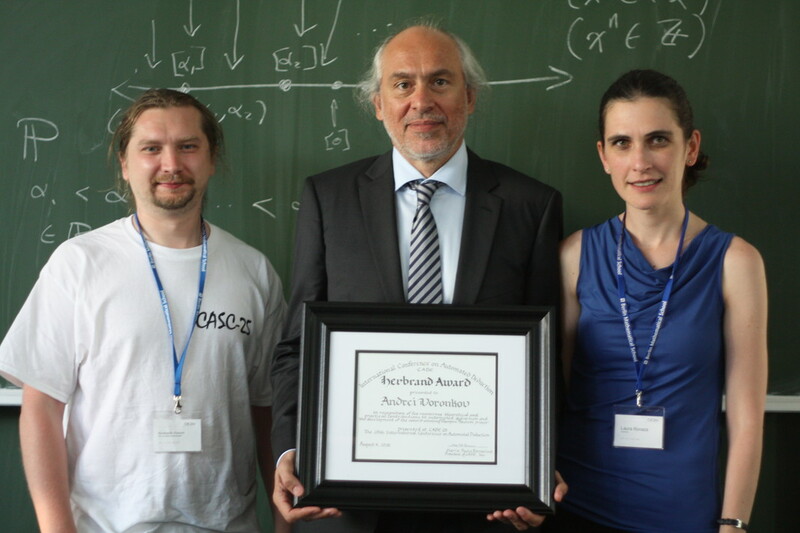 in recognition of his seminal work on first order theorem proving and its applications in Artificial Intelligence and Programming. 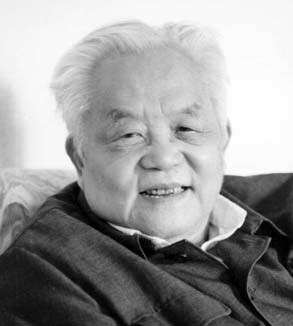 His research on the connection method laid the foundations for many modern deduction systems, and it had signifcant influence on other research areas such as Logic Programming, Knowledge Representation, and Deductive Planning. 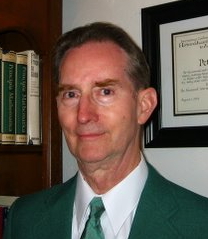 in recognition of his role as a founding father of the field of automated reasoning; coauthor of both papers that introduce what is now called the Davis-Putnam or Davis-Putnam-Logemann-Loveland procedure, variants of one of the most outstanding and useful proof procedures known today; historian regarding the early history of the field of automated deduction; and his numerous other contribution to the field. 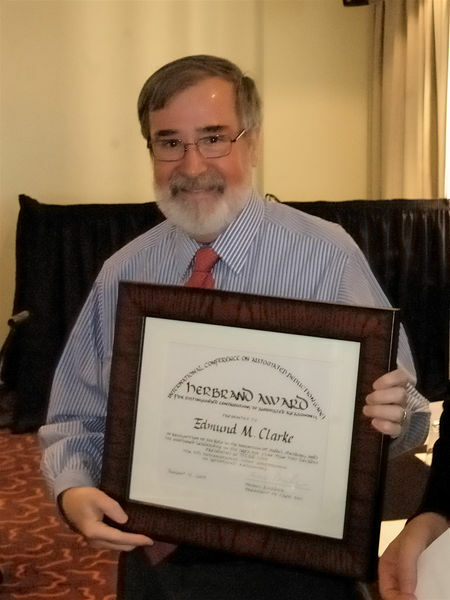 in recognition of his seminal work on the theory underlying modern theorem proving systems; the breadth of his research covering nearly all major areas of deduction, and the depth of his results in each one of them; his effective contributions to the development of systems and implementation techniques; and his dedicated promotion of automated reasoning both inside and outside the community. Frank Pfenning President of CADE Inc.
Ulrich Furbach President of CADE Inc.
for his development of the model elimination procedure, for his contributions to propositional satisfiability testing realized in the Davis-Putman-Logemann-Loveland-Procedure, for his work on the nearHorn-Prolog family of calculi for disjunctive logic programming, and many other contributions to the field of automated reasoning. for his development of powerful and portable automated deduction tools, including ITP, LMA, OTTER, ROO, MACE and EQP, and for creative new strategies and rules associated with them. 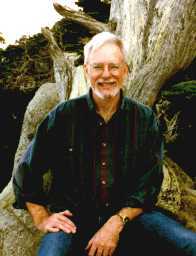 His solution of the Robbins Algebra problem using EQP has brought visibility and distinction to the field. 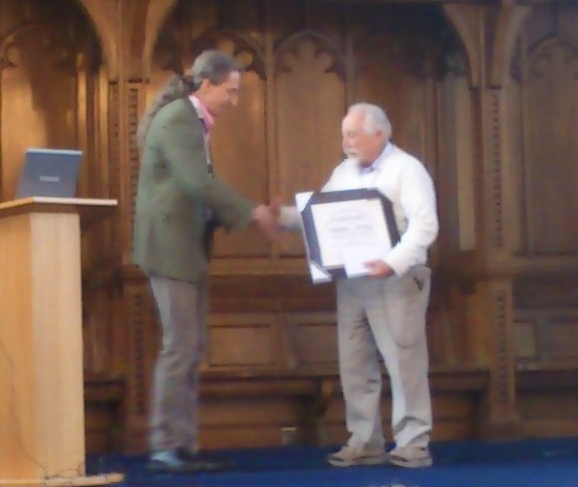 for his work (with J Strother Moore) on the automation of inductive inference and its application to the verification of hardware and software. John Slaney President of CADE Inc.
for his work (with Robert S. Boyer) on the automation of inductive inference and its application to the verification of hardware and software. 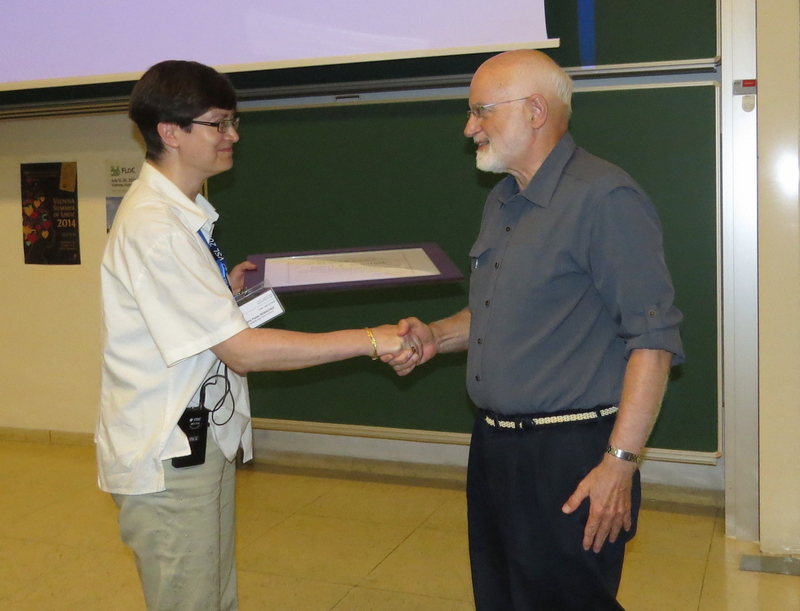 for his contributions to term rewriting and to theorem proving in higher-order logic, and many other contributions to the field of automated reasoning. 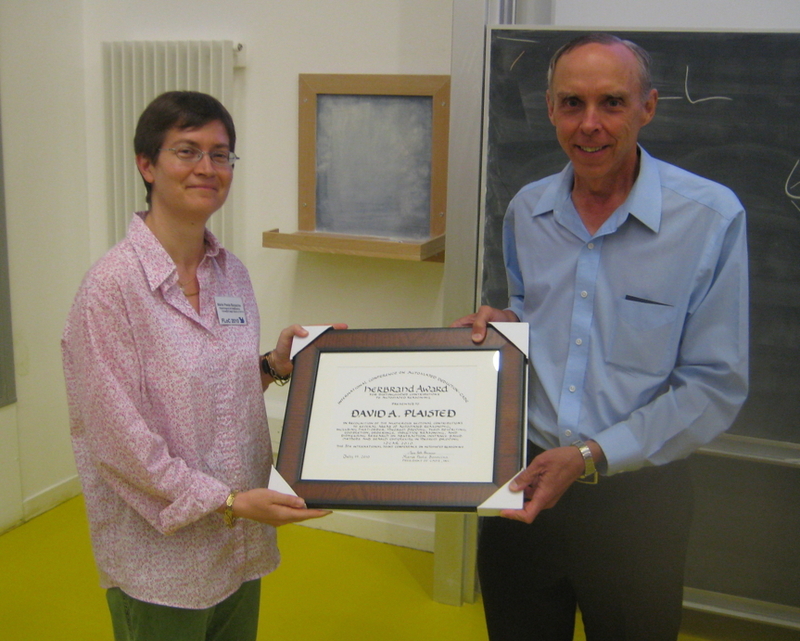 for groundbreaking work in geometric theorem proving and many other contributions to the field of automated reasoning. 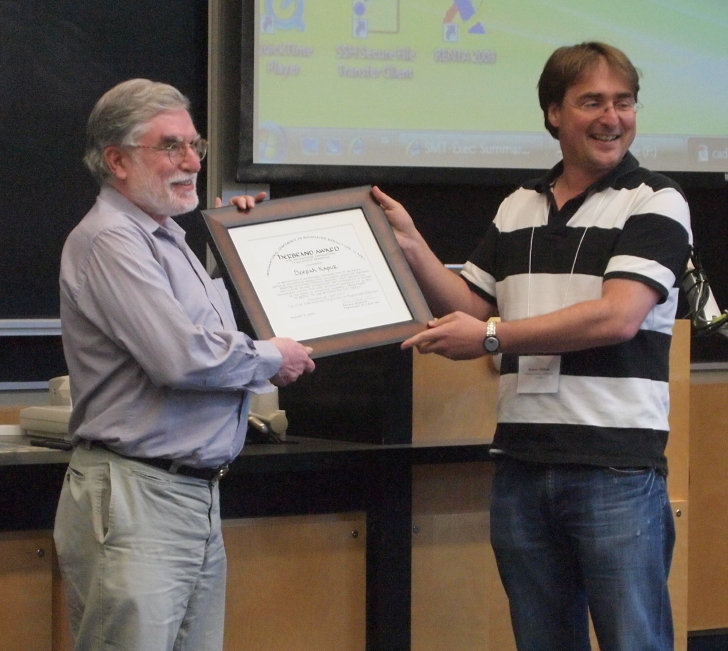 for his numerous contributions to the field of Automated Deduction including natural proof systems, interactive systems, decision procedures, analogical reasoning and applications to set theory, analysis and program verification. 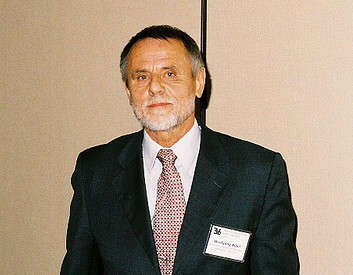 Larry Wos received the first Herbrand award in automated deduction, presented at the 1992 Conference on Automated Deduction. 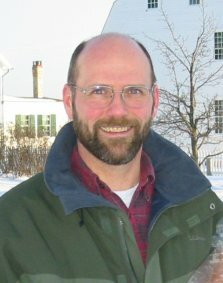 He was recognized for his contributions to the field, as well as for his leadership in the area of automated reasoning.